This software has been discontinued by Sinevibes. 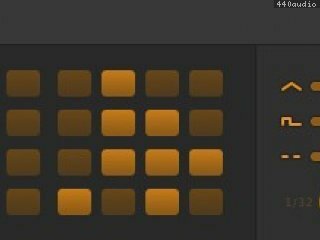 Strobe is an AudioUnit effect plugin for rhythmic audio gating. Its core is a sequencer that runs in perfectly precise sync with your DAW and lets you mute individual notes and sounds in a looped fashion. Thanks to variable timing, swing and gate shape Strobe can easily match the feel of any melodic or rhythmic part. It's a simple yet versatile effect that is essential in all styles of music - and it has an incredibly fun-to-use interface. - Add rhythmic gate effects onto synth, bass and pad sounds. - Create classic effects like tremolo and pumping. - Apply beat slicing onto rhythmic parts. Completely redesigned user interface and multiple minor enhancements. We just released Drift 1.1.5, Strobe 1.0.5 and Reactive 1.0.2. These updates bring their color schemes to our latest standards. The new versions fix a de-synchronization issue appearing on long audio regions. This update resolves a component naming conflict. Only 24 or 32 steps... come on guys, give us the option of setting step count.